Everyone wants to find a career that is both professionally and personally rewarding. We all want to strike that perfect balance between financially stability, and feeling inspired to go to work each day. This is what motivates us to seek out training, find our "tribe", and apply for jobs that deliver a sense of meaning along with a steady paycheck. If you're considering a paralegal career, you're probably aiming for that very same goal. As you flip through program brochures, or talk to people you know in the legal field, you're thinking about whether this is truly your ideal path. Are you suited to the life of a paralegal? Exactly how would you be helping others in this role, and is there job security? What does training involve? Well, you've come to the right place, because these are the exact questions we're dealing with in this post. We're looking at both the practical and personal side of becoming a paralegal, including the latest employment forecasts, required skills, career options, and motivational factors. Would you be happy in a paralegal career? Let's find out. 1. What's motivating you to pursue paralegal training? Over the years, we've worked with hundreds of paralegal students. Our graduates come from all walks of life, and a wide range of backgrounds, but they all tend to have certain characteristics and motivations in common. For example, successful paralegal students are analytical and detail-oriented by nature. They have a genuine interest in the law, and most of all, are passionate about promoting justice in their own communities. 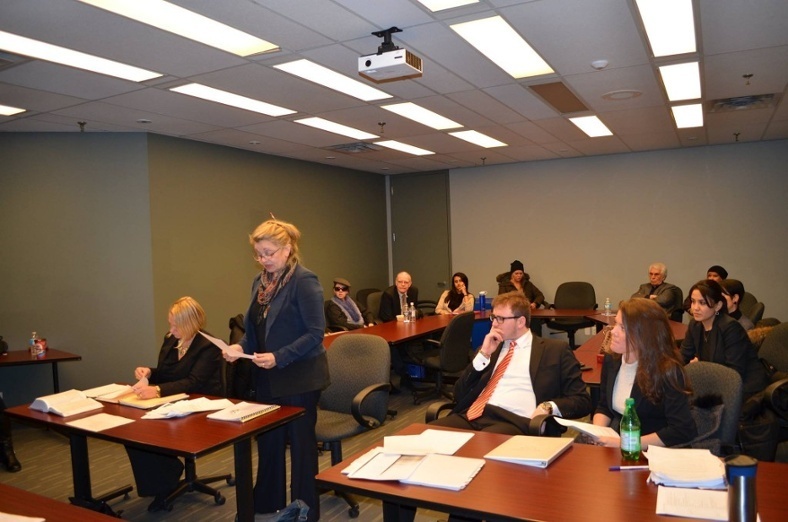 Paralegals are increasingly important members of Ontario's legal community. They offer clients much more affordable rates than lawyers—ensuring more Ontarians get access to expert legal representation. There are also pragmatic reasons to choose a paralegal career over law school. Paralegal training is faster, much cheaper, and opens up many professional doors (more on that later). Becoming a paralegal is a noble, exciting goal. You can do a lot of good in this role. If you're motivated to help others, and ready to challenge yourself, this can be a deeply rewarding career. 2. Are you interested in the areas of law in which paralegals practice? Paralegals in Ontario have a special status. They are permitted to represent clients in a number of areas, including small claims, human rights, motor vehicle offenses, landlord and tenant disputes, and summary conviction offenses. Ontario is also moving toward allowing paralegals to practice certain aspects of family law (such as simple divorce cases), expanding their professional reach even further. However, there are obviously limits to what paralegals can do. If you're considering this career, you must accept those limits, and be satisfied to work within them. Take a look at the official scope of practice for paralegals, as determined by the Law Society of Upper Canada. Check out this video for a good explanation of the legal areas in which paralegals work, plus examples of cases you could take on. If you're excited to help clients with these issues, there's a good chance you'd find paralegal work both challenging and fulfilling. 3. What's involved in the paralegal training & licensing process? Training is always different than real-world practice, but looking at the courses and licensing process you'll go through to become a paralegal, will give you a mini-preview of what this profession is all about. If you research the curriculum for accredited paralegal programs, you'll see the areas of law you'll study, related skills you'll learn, and the time you'll have to invest to start your career. For example, does delving into topics like evidence and the litigation process, legal research, legal accounting, torts, and contracts spark interest in you? Are you excited to learn more about Canada's legal system, your ethical responsibilities as a paralegal, and how to write briefs and reports? There is also program length to consider. Luckily, most paralegal diplomas take just 12 months to complete. It's an intensive experience that demands hard work, but compared to law school, a very fast entry into the workforce. After earning your diploma, you will need to apply for licensing with the Law Society of Upper Canada. This process involves successfully passing a rigorous paralegal exam, and meeting certain application criteria. Click here to learn more about paralegal licensing. Are you ready to invest in this process? Primed to tackle the challenges of learning these skills, and starting a brand new career? If so, you're on the right track. Herzing paralegal students participate in a mock trial. Role play and trial simulations are key for building case preparation, public speaking, and argumentation skills. 4. What is demand like for paralegals in your area? Being able to find employment after training is a critical factor for every new student. Your happiness as a newly-minted paralegal will be directly impacted by demand for your skills where you live. Will there be a lot of competition for jobs? How hard will it be to find meaningful work? There are a couple of ways to learn about employment trends for paralegals in your area. You can look at official job market reports from the Government of Canada Job Bank, which are released every 3 years, and cover thousands of occupations, in every region of the country. For example, the most recent forecast for paralegals in Toronto says demand is "fair", and gives the occupation 2 out of 3 stars for employment prospects. This means there are indeed jobs out there for paralegals, but you should expect some competition, as there isn't a surplus of work right now. You can also reach out to paralegals in your area. Do you know someone who is currently working in this field, or recently started a paralegal career? How challenging has it been for them to find work? Tip: When researching paralegal programs, be sure to ask your admissions advisor about graduate employment rates. How many of their graduates found work as paralegals, soon after completing the program? This is an important stat for figuring out whether you're willing to invest in this career path. 5. What are your career options as a paralegal? So, where exactly can you expect to work as a paralegal? This aspect is key for determining where you'd find your ideal fit, and how happy you'd be in the profession. You could land a government position, or work for a lobby group. You'll find opportunities in the non-profit sector, with corporate legal departments, and private law firms. Many paralegals specialize in a particular area of law, and become experts in that domain. And of course, you could start your own paralegal practice—either on your own, or together with other paralegals. This path is ideal for people who want to become their own boss, and aren't afraid to pick up additional business management, marketing, and accounting skills (these are also taught in paralegal training). Consider this: Where do you see yourself in the next 5 years? What impact do you want to make as a paralegal, and what sort of work environment would inspire you? 6. What skills and personal traits are needed to excel in this field? Every profession has its own unique requirements and challenges in terms of skillset and personal attributes. Paralegal is no different. While it's true that this career attracts people from diverse backgrounds, there's no denying that you'll need certain traits to really thrive in this role. Does this professional profile sound like you? Related: 6 Traits of Successful Paralegals: Is This Career Path For You? If you've read this far, and are nodding your head, and feeling validated in your decision to pursue a paralegal career, you're ready for the next step. That's finding quality paralegal training near you, and narrowing down which college best fits your needs. We strongly recommend setting up meetings with admission advisors at every school you're considering. This is the best way to survey the campus, evaluate the facilities, learn about training, financial aid, career support, and a host of other important factors. Don't underestimate the importance of feeling comfortable, welcomed, and supported during this process. Investing in college is a big deal, and you'll need help and guidance to make the right decision. 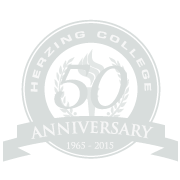 If you're considering Herzing College, we'd love to hear from you. We'd be happy to meet with you, go over admission criteria for our Paralegal Diploma, talk about your goals, and answer all your questions. We've trained hundreds of paralegals. We can help you determine if this career is truly right for you, and how to map out your next steps. Please use the links below to explore the program, gather more information, and connect online with a knowledgeable advisor. We're here to help! Get fast, free information about admissions, courses, financial aid, and how to apply. An advisor will be in touch to help you navigate the process, and answer any follow-up questions you may have. See a detailed course list, meet the instructor, learn more about the program, and chat live with an admissions advisor. Get your questions answered, quickly and easily online.